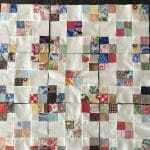 Who knows who first created this patchwork method? I suspect like many great ideas, necessity is the mother of all invention. 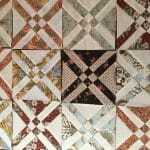 The foundations for foundation patchwork and quilting can be a number of things depending on the application. For instance, it could be paper, fabric or batting. 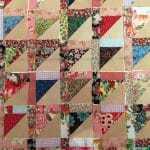 Foundation piecing can present itself in many ways with patchwork. 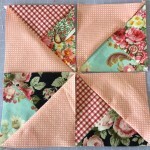 Of course one of the most popular forms of foundation piecing is string patchwork, where small pieces of fabric strings are sewn onto paper or fabric. 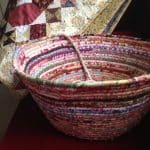 I suspect this came about when our foremothers did not have an abundance of fabric, so they came up with inventive ways to preserve little pieces. 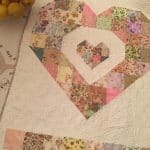 This can also apply to Crazy quilting and some patchwork blocks too which are pieced onto a foundation block which follows a pattern. 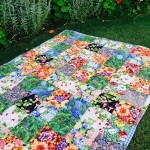 Another one is quilt as you go, where the fabric is applied directly to the batting and or backing, from the outset of the project. 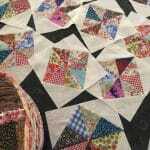 The foundation piecing can be very ordered or freestyle. Foundation triangles are another form of foundation piecing, can also be referred to as sew and flip method. This is a terrific method for making star points or flying geese units. 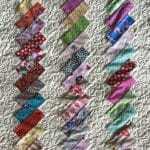 I remember when I first decided to try to make a quilt with star points and I researched different ways of doing it. 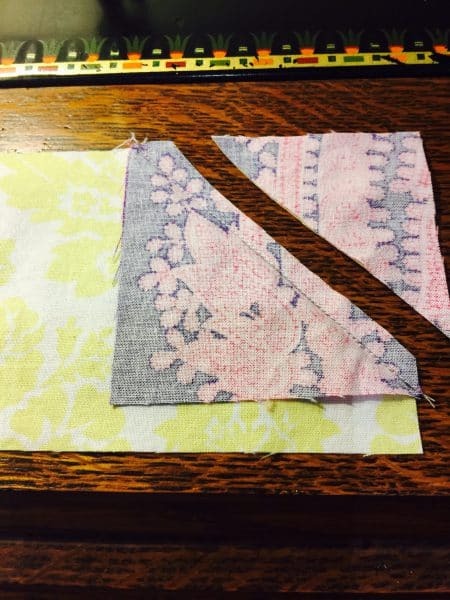 Being a very novice quilter at the time, I decided to go with this foundation method, even though it does use more fabric. At the time I just couldn’t imagine how I could get the points correct. I still really like this method. Foundation Triangles generally involve placing a square of fabric right side down on the corner of the fabric foundation where the triangle is to be made. 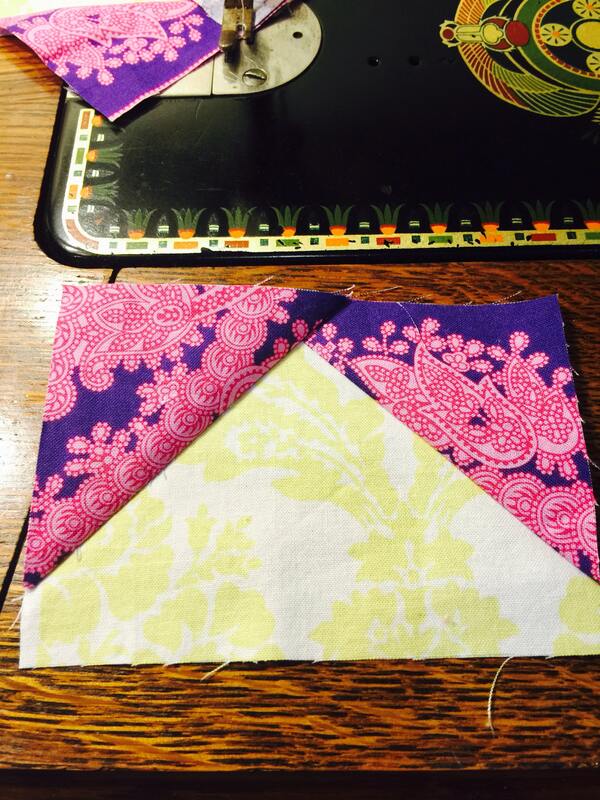 The square can me marked or folded on the sewing line. Once the square is sewn down, then the fabric is flipped back. 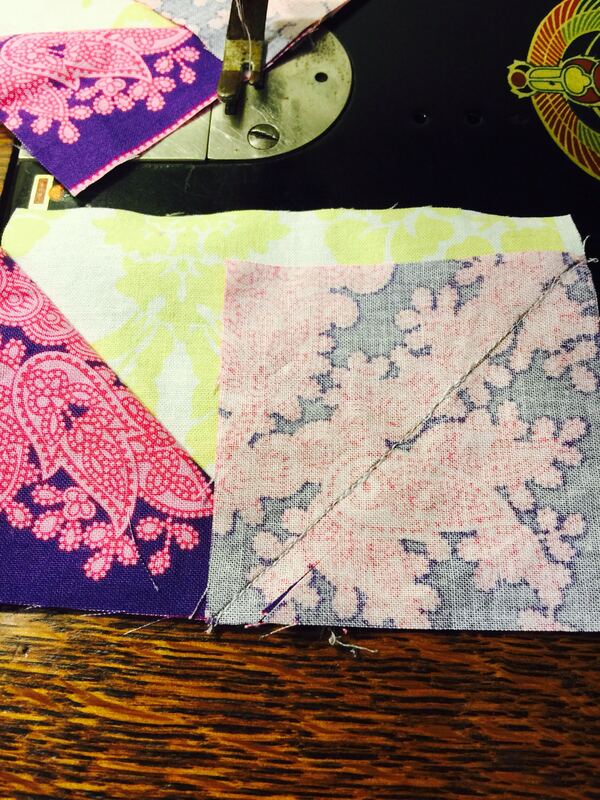 At this point, the underside remainder of the fabric can remain in place or it can be cut away. One of the major advantages of this method is that it stabilises the bias seam, helping prevent stretching or distortion. 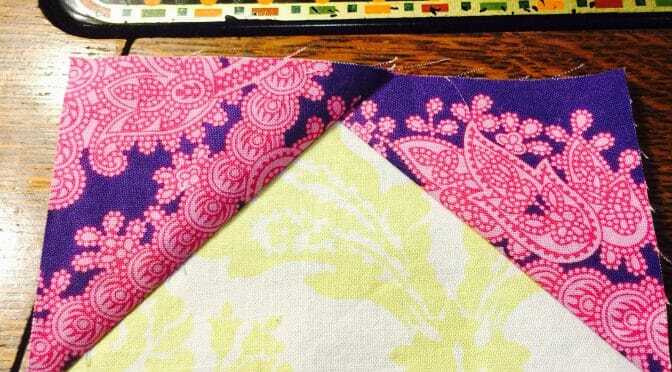 Another advantage is that when the fabric is flipped back, this is the time to check the accuracy of the piecing. 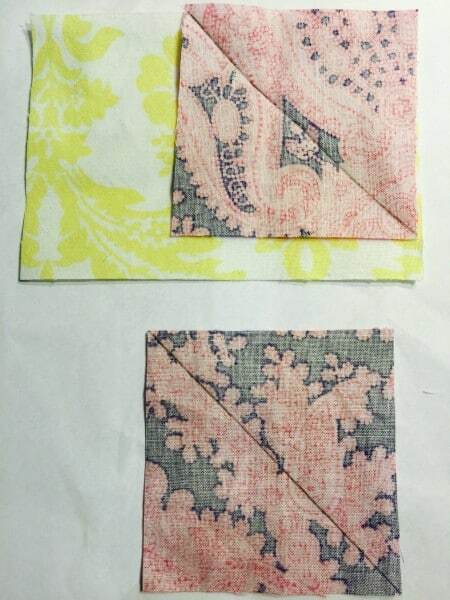 Ideally when the sewn on square is flipped back, it should line up with the exisiting fabric underneath. It’s good to make a couple of test blocks to check. It might be that the triangle is a bit short. If that is the case, then the seam needs to be adjusted a little to the right. Once this seam placement is correct then the underside of the remainder fabric can be cut away. 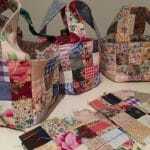 Now, the fabric which has been cut away can be discarded or they can be collected for another project. Personally I like to keep these scrap triangles. They are so pretty and let’s face it, already cut. What to do with them……well that’s another story….stay tuned…. This is just one example of foundation triangles.